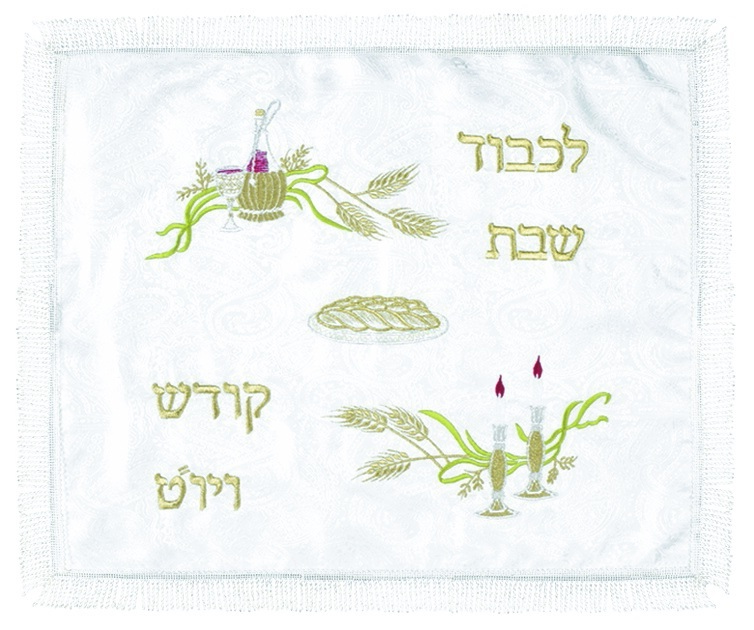 Made of elegant heavy brocade fabric, this challah cover is designed with color over the whole surface. With images of a wine decanter and Kiddush cup on one side and candlesticks with lit candle on the other, each with sheaves of wheat in the background, with a challah in the center. The Hebrew words “Likavod Shabbat V’Yom Tov”, which means “In honor of Shabbat and Yom Tov”, are embroidered in large gold colored letters.